In Clocks > Mantel Clocks > Show & Tell and Clocks > Ingraham Clocks > Show & Tell. Ingraham Venetian shelf clock with (disabled) alarm mechanism. Very pretty rosewood case and gilt columns. You cant tell from the pics, but the gilt really looks old and untouched. If it has been 'touched', it was a long time ago. Very nice time keeper a decent gong strike (not too annoying that is.) I've had a couple of different workers (carpet cleaners, painter, etc.) drawn to this particular clock for some reason. 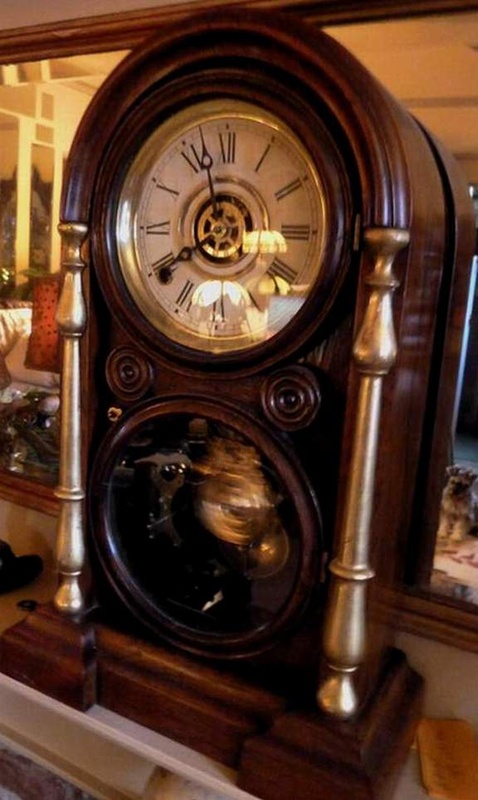 It does sit on the mantle and kind of the first clock you see when you come in door. 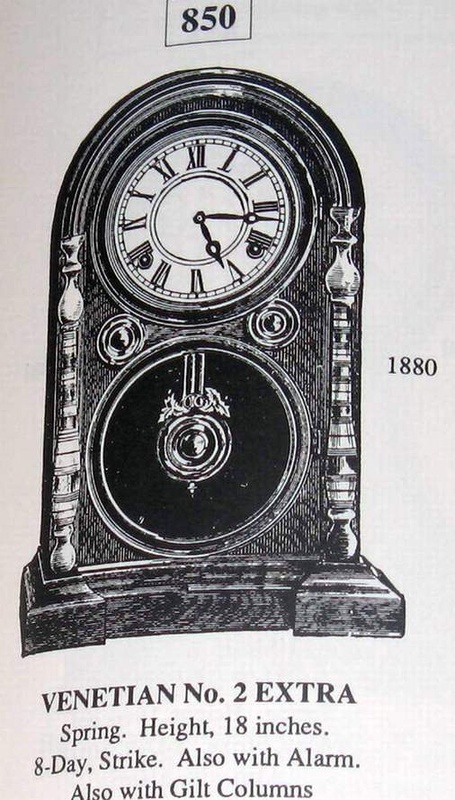 This clock does not have its interior Ingraham Venetian label, which unfortunately devalues it. Dimensions are 18" height x 11.5" wide x almost 5" depth. Tutzie, could you please telepathically transport this one to me also? Amazingly beautiful! Okay, here goes wwwwwwhhhhhhiiiiiiirrrrrrr and so on! Thank you for your kind comments as always! 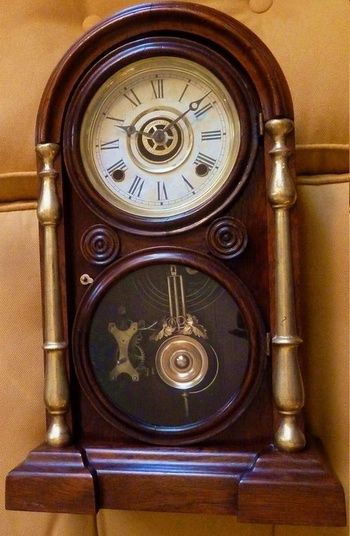 Blunderbuss2 and Kerry10456 chimed in together with a love of this clock, so thank you both very much!